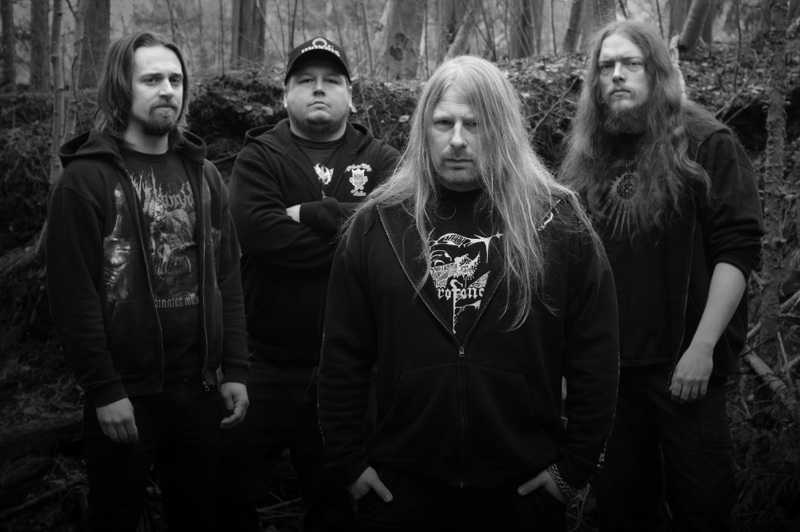 CENTINEX is made of Martin Schulman (Demonical) on bass, Sverker Widgren(Demonical, Diabolical) on guitars, Alexander Högbom (October Tide,Spasmodic) on vocals and Kennet Englund (Interment, Centinex 1999-2003) on drums. Commented by the band’s founder and mastermind, Martin: “Influenced and inspired by the early 90’s classic Florida-scene, “Redeeming Filth” picks up the spirit from our 1992-debut “Subconscious Lobotomy” and leads us back to the golden days of riff-oriented death metal. The future looks soaking brutal!”. Band’s ninth album, the successor to “World Declension” (2005), was recorded at Amplified Studios and mixed & mastered at Garageland Studios by Ronnie Björnström (Aeon) during the spring of 2014. Album cover has been created byTwilight 13 Media (At The Gates, Arch Enemy, Darkthrone). “Redeeming Filth” is available in: digipack CD, digital format, black vinyl, limited brown vinyl and digital formats.